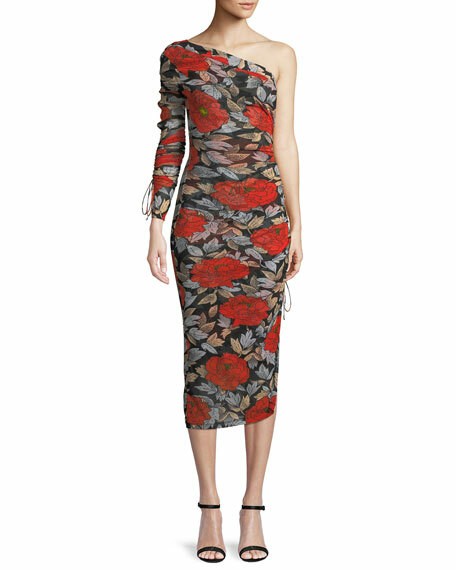 Diane von Furstenberg floral ruched dress. Right long sleeve; self-tie cuff. For in-store inquiries, use sku #2483995. 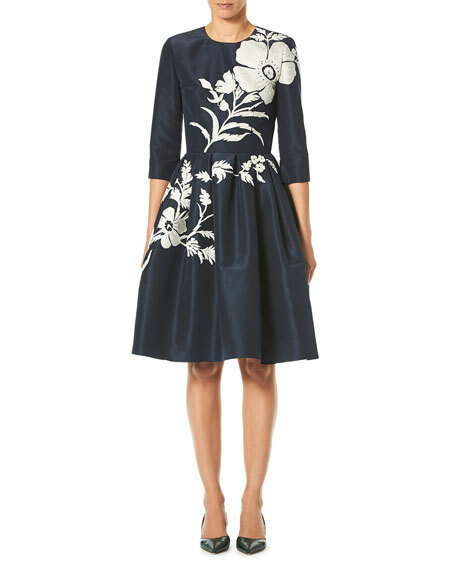 Carolina Herrera cocktail dress in silk faille with floral embroidery. Jewel neckline. Elbow sleeves. Fit-and-flare silhouette. Pleated skirt. Hidden back zip. Knee-length. Silk, self & lining. Made in USA of Italian materials. Chiara Boni La Petite Robe "Charisse" starburst cocktail dress with asymmetric front. V-neckline. Three-quarter sleeves. Shirred bodice. Bodycon silhouette. Knee-length. Straight hem. Raw-edge hem for ease of tailoring. Step-in style. Nylon/spandex. Made in Italy. 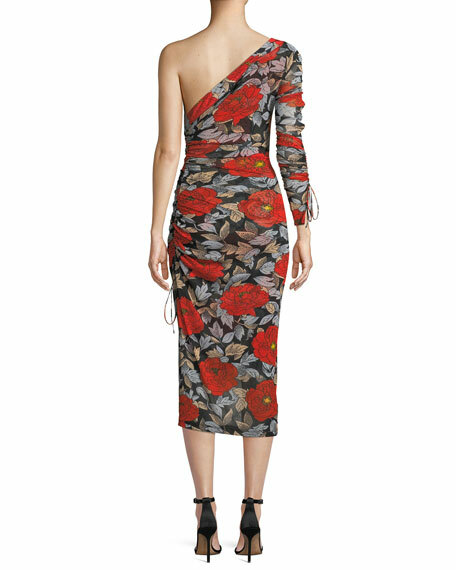 Chiara Boni La Petite Robe "Imade" cocktail dress with floral-embroidered flounce detail. 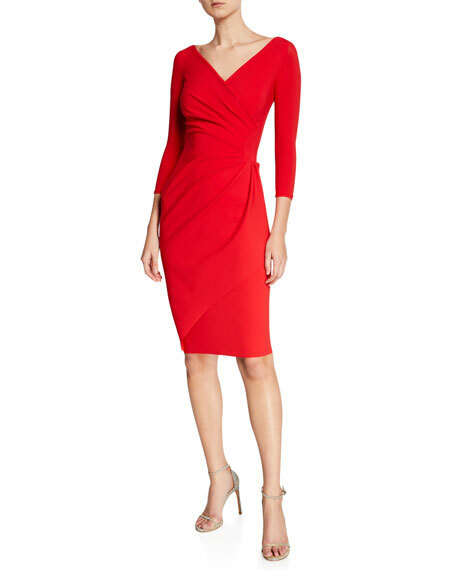 One-shoulder neckline. Sleeveless right. Bodycon silhouette. Knee-length. Raw-edge hem for ease of tailoring. Step-in style. Nylon/spandex. Made in Italy.